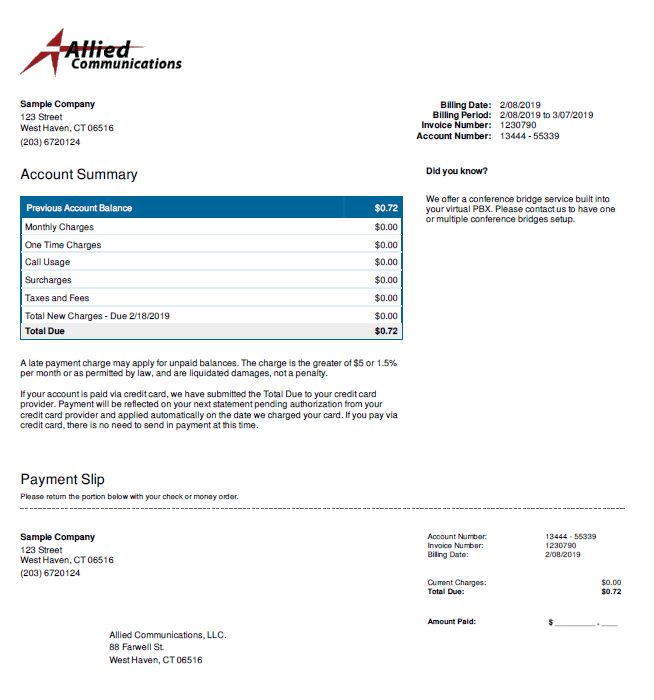 Straightforward invoicing that is easy to understand. 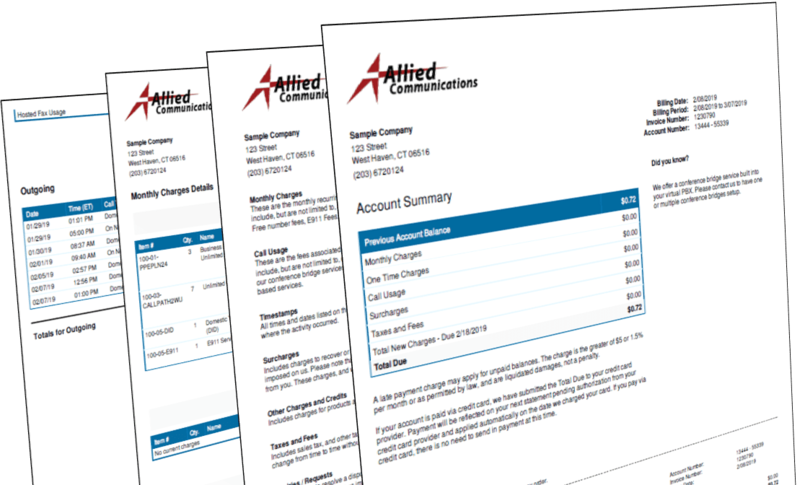 In advance of your first bill you can view a sample invoice. Each invoice includes.